"...we can only love others as much as we love ourselves." For 2016, a friend chose the word SELF as her word of the year. I admire her courage to choose this particular word. Defined as "a person's essential being that distinguishes them from others, especially considered as the object of introspection," this choice is a particularly courageous act in a world where focusing on oneself is easily misjudged as selfish or indulgent. She is giving in completely to her body's desire for more introspection and reflection. This week while reflecting on love I thought about my friend, her courage, and the word Self and how it relates to love. The foundation to all love is self-love. To celebrate my friend's courage, I made her a card. Starting out with a blank page on a type writer at Better Off. The card making itself was an experience. Having pressed the wrong key a few times, I initially felt the urge to start over but accepted the "mistakes" as part of the aesthetic. May you feel full of SELF love. Once I held the card in my hand I read it over a few times. I was a bit surprised as a sense of relief washed over my body. I needed those words, too. Later that same night at my weekly compassion meditation group, the teacher spoke about love. He reminded us that in our culture we are not trained to notice moments when we are receiving deep care and love and that in our meditation we are practicing just that. Training in compassion opens us up to feel all the love we are receiving. He went on to say: "Every moment of every day, you are loved. Right now, in this moment, you are loved." When he said this I replied with teary eyes and a smile: "That's a big deal." I write to you today, sharing these words with you because perhaps, just like me, you may need them too. That is my wish for you today and always. Sign up for updates and inspiration, sent every few weeks. A collection of personal reflections and learnings, inspiring a brave and kind savoring of the everyday. Licensed psychotherapist and coach, helping people thrive through times of transitions in life and work. 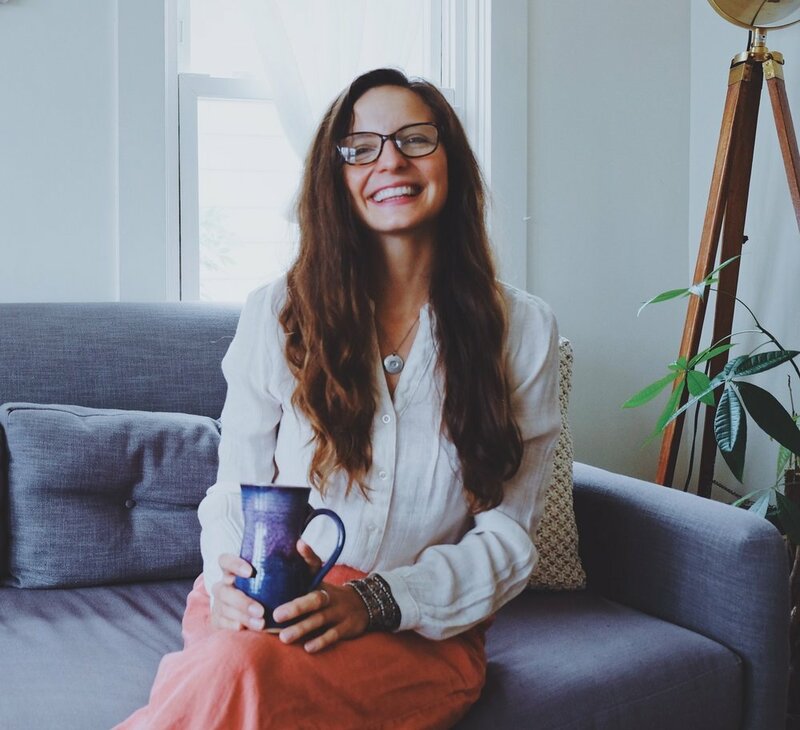 Michelle Vitale is a Venezuelan-born, holistic psychotherapist working in private practice helping people thrive through times of transitions in life and work. Schedule a free, no-obligation conversation to explore your needs and how we can work together. Get gentle inspiration, wellness practices and insights to help you thrive through times of transition in your personal and professional lives.